IRELAND HAS BEEN referred to the Court of Justice of the European Union by the European Commission for not properly applying the rules on fiscal marking on fuel. Under EU rules on fiscal marking, fuel that can benefit from a reduced tax rate has to be marked by coloured dye. Fuel used in fishing vessels, for example, is allowed to benefit from the marked fuel and it is subject to a lower tax rate. 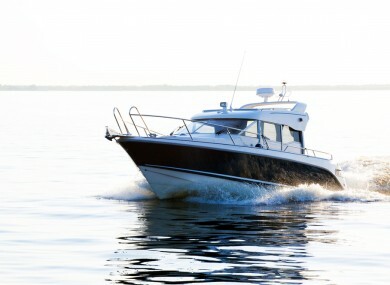 However, private boats must use fuel subject to a standard tax rate. “Currently, Ireland breaches EU law by allowing the use of marked fuel for the purposes of private pleasure craft. As a consequence, private leisure boats cannot only use fuel intended for fishing vessels but also risk heavy penalties if they travel to another Member State and the boat is inspected by the local authorities,” said the Commission. In April, the Commission said it sent a request to the Irish authorities officially asking them to amend the relevant legislation. It said Ireland has not properly implemented its obligation to apply a minimum level of taxation in accordance to its directive and while Irish law requires craft owners to pay to the Revenue the difference between the tax paid on marked gas oil and that due if the gas oil had been charged at the standard rate, the low number of tax returns indicate that the minimum level of taxation is not being applied. As there have been no changes to the legislation, the Commission has decided to bring the matter before the Court of Justice. Email “Ireland is allowing unmarked fuel to be used in private boats, so Europe is taking us to court”. Feedback on “Ireland is allowing unmarked fuel to be used in private boats, so Europe is taking us to court”.